Use with any standard audio device. 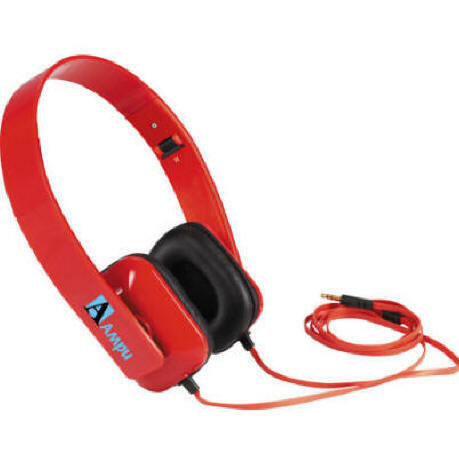 Folding headband with deluxe padded, on-ear headphones. 3.5 mm audio jack, 47.5" cable. Available in red, blue, black or white. Product size: 7" X 2.25" X 6.125". Imprint area: 3/4" X 1 1/8". Set-up charge: $55. Packaging: individually gift boxed.